The difference between Standard and Premium Websites. Premium Website Design or Standard Web Design? When deciding between premium website design or standard web design packages, most of our clients say the same thing. “You get the quality you pay for”. While this is true, the websites we design for our clients who opt for standard web design, are by no means of less quality. The difference between Standard Web Design and Premium Design lies in the service process. A standard web design package is focused on building the actual website. The designer focuses on building what you ask for. During a premium website build, the focus is on building a website as a marketing tool optimized for your brand. A professional marketer will asses your brand and your corporate identity. Thereafter, they will provide feedback to both you and an experienced premium website designer. Your marketer and designer will collaborate to develop a strategy to practically apply the marketing research to your website in order to produce a design that is optimized as a marketing tool for your brand and audience. Prototypes will be produced, and once finalized, a premium website will be built. Is a standard website sub-quality? A standard website is not a “lower quality” website. They are not less secure. Nor more likely to break or ugly (well, not if we’re building it anyway). It is simply built with a different target in mind. A premium website costs more and takes more time. The design is based on marketing research and you will have the luxury of professional design and marketing consultants throughout the process. Standard Websites are more affordable, quicker and less complicated. They are just as safe and built to the same quality standard. However, they are not optimized to their full potential in terms of being a marketing tool. If you’re on a budget, or concerned about time then standard website is the perfect option for you. For those who are more interested in investing resources to gain a most valuable long-term marketing tool, then premium design is the way to go. Whichever direction is right for you, The Web Shack is ready to assist you. Give us a shout to get started. Website Maintenance – Why is it important? Build yourself a website quotation with our online form today! 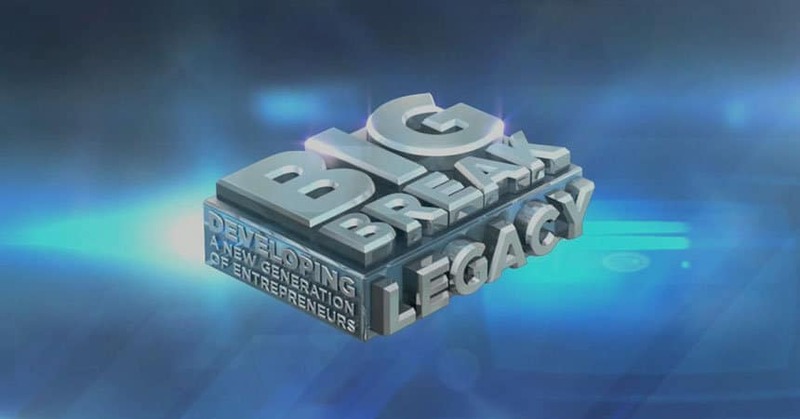 Our team assisted a contestant on an entrepreneurial game show - The Big Break Legacy. We provide reliable website and email hosting services. Partner with us today! © 2019 The Web Shack CC. All rights reserved. Good things come to those who sign up for our newsletter. Get the latest specials and industry intelligence delivered straight to your inbox! Fill in the form provided below so our friendly sales consultants can get in touch with you. Become an Ads Enthusiast today! Fill in the form provided below so our friendly sales consultants can get in touch with you. Submit a ticket and we will be in contact with you shortly. Products populate your online store and will be the items featured on your shop page. These are specific to your business and are a crucial part of the ordering and checkout process. We find clients often confuse an online store with a product catalogue. We have allowed for our clients to now choose between both by selecting whether they want a payment gateway. An online store includes a payment gateway which clients will use to directly order and purchase your products online without having to contact you to do this. If the shop lacks a payment gateway it automatically becomes a product catalogue that simply showcases your products and has no pricing and ordering involved. Users will have to enquire directly with you and cannot buy your products directly off the website. A product is a maximum of 200 words. What is a Website Page? A website page is a content area (much like Microsoft Word) where you can add/edit content that you are trying to portray to your viewers. It is very much like a company brochure that is indexed on the internet through search engines such as Google, etc. A page is normally linked to the homepage of your website in the menu bar located on the top of your website. The menu bar is a variety of buttons categorised for various purposes (eg: Home, About, Our Services, Contact Us). These are all buttons that link to individual pages once you have clicked on them. They can be changed as needed within the confines of our WordPress software. Things you might include on a page? Things you put on a page vary based on your company campaign but generally would include text describing your pages objective, accompanied by pictures, graphics, and basically anything that would be appealing to your target market when it comes to promoting your company. A page can also include information about your company history, background, the team, basically everything a user would view to know more about your business. A page is a maximum of 400 words. What Type of Website do you Need? A parallax is a modern-feeling, one page website. Don’t be confused by the one page though – a parallax can be a large site. A parallax website continuously scrolls through all its content. There is no linking to lots of individual pages – this makes your website smoother and faster. When you choose an option in the menu of a parallax, the site will automatically scroll to that section. If you are still unsure whether this is the correct option for you feel free to contact us. This is a website which includes general functions EXCLUDING things like eCommerce/Client Portals/Directories/Property Listings/Custom Development/Forums and the likes. Bear in mind our mock ups/themes we send through to you showcase the full functionality that we can use to build your website. If you are still unsure whether this is the correct option for you feel free to contact us. Our online store option brings the same functionality of the website design package above but also includes some crucial features that are necessary to sell products on your website. We integrate a payment gateway so users can safely checkout once they are ready to purchase products off your website. We also include a shopping cart featuring all your products on sale. The perk here is that you also have the same control as in the website design package to add your own products and content as freely as you please. A parallax website consists of only one page, but many sections. All your content is divided into sections on a page. You can either scroll continuously down the page to view content, or click on an option in the menu, and the website will automatically scroll to that section. A section is a maximum of 400 words. Let us help you with your SEO Maintenance today! Fill in the form provided below so our friendly sales consultants can get in touch with you. Let us help you with your Website Maintenance today! Fill in the form provided below so our friendly sales consultants can get in touch with you. How many video posts would you like a month? A video post consists of a video and up to 50 words of text. The fee includes creation of the video and text. Please note that videos are limited to 15 second text based videos. This can include vector imagery and animation but not photographic imagery or recordings. This fee is the amount of money that will be paid directly to your chosen advertising platform/s (e.g. : Facebook) in order for your advert to run. While the fee is paid to The Web Shack to manage, The Web Shack then pays this money forward to your chosen advertising platform. Please note that your total quote will include both the management fee and the advertising budget. This fee covers the design, creation, changes and scheduling of all the posts you selected above. It also covers the management of accounts. What is your paid advertising budget per month? Your advertising budget is the amount of money you pay directly to the social media platform in order to boost or advertise your posts. Please note that we charge a 15% management fee on advertising budget. This management fee includes the setup of advertising accounts, set of adverts, including targeting, as well as, managing the adverts performance. Example: If you select the option for R1000 worth of advertising budget, R150 of that will be deducted as the management fee and the remaining R850 will be allocated to your accounts paid advertising. How many blog/article posts would you like a month? A blog is a post consisting of up to 700 words. The fee includes research, writing and posting. All blogs include one stock image. In order to post the blog to your website, we will require limited permission access to the back end of your site. How many image posts would you like a month? Image posts consist of an image and up to 50 words of text. The fee includes the creation of both image and text. How many text posts would you like a month? A text post is a status update consisting of text only. This fee includes the writing of a post of up to 200 words, or the character limit of the social media platform. Please note, if Instagram is one of your additional platforms, text posts will not be cross-platform posted to Instagram. Which additional platforms would you like to use? When we post to your primary platform, we also post to the platforms you select here. This fee includes adjusting each post to suit the best practices for each additional platform. Would you like to add additional platforms? Additional platforms are above and beyond your primary platform. Are you using more than one platform? If you select yes, this fee includes the use of Loomly. Loomly is a social media managing program that facilitates an approval process – we never post without your approval. It merges all information from many accounts, onto one, easy to understand platform. This allows you to keep an eye on all your social media with ease. What is your primary social media platform? Your primary social media platform is the platform you place the most importance on. If you only make use of a single platform, it is your primary platform. When we design you strategy and post, we keep your primary social media platform at the top of our minds. This fee includes the account management of this platform. Let us help you with your SEO today! Fill in the form provided below so our friendly sales consultants can get in touch with you. Our monthly SEO maintenance of R999 p/m only starts once your chosen Once off SEO package has been completed. Let us help you with your Digital Advertising campaigns today! Fill in the form provided below so our friendly sales consultants can get in touch with you. Please enter a number greater than or equal to 1000. Get your eCommerce Website up today! Fill in the form provided below so our friendly sales consultants can get in touch with you. Get your 3 to 5 Page Website up today! Fill in the form provided below so our friendly sales consultants can get in touch with you. Get your One Page Parallax Website up today! Fill in the form provided below so our friendly sales consultants can get in touch with you. Let us help you with your Copy and Blogging today! Fill in the form provided below so our friendly sales consultants can get in touch with you. 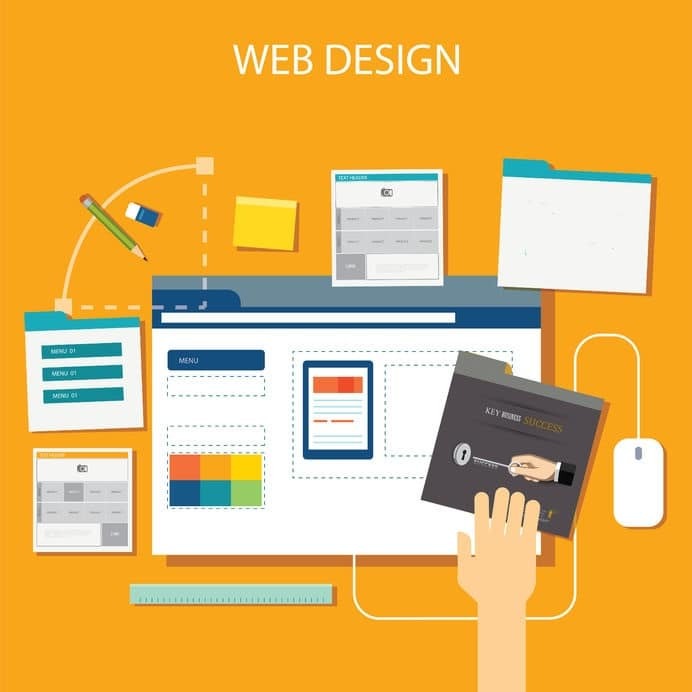 Get our team to build you a website that is not just user-friendly but also Beautiful. Build a comprehensive social media campaign today! Fill in the form provided below so our friendly sales consultants can get in touch with you. Expand your social media reach today! Fill in the form provided below so our friendly sales consultants can get in touch with you. Get started on your social media campaigns today! Fill in the form provided below so our friendly sales consultants can get in touch with you. Become an AdWords Explorer today! Fill in the form provided below so our friendly sales consultants can get in touch with you. What is a domains purpose? Every domain requires a top and second level domain name. The “.co.za” part of a domain represents the top-level domain name. The “.co” stands for general use by South African and non-South African persons and entities. The “.za” part of the domain is the Internet country code top-level domain (ccTLD) for South Africa. Which domain purpose do I choose? The domain purpose relies a lot on what purpose you would like your company to have and where your domain is going to be displayed. For example if you need your website to be featured internationally, commonly a “.com” top level domain name will be used from South Africa. A “.co.za” is better if your purpose is to infiltrate the local market. There are also non-profit domain purposes and alternatives to .co.za. We generally supply .org and .net but have had requests to host a .church and many other types. What is a website domain name? A domain name locates an organization or other entity on the Internet. For example, the domain name www.shack.co.za is what you landed on to get to the page you are viewing currently. Things to consider when choosing a domain name? First of all when you are considering a domain the first step is to check its availability. There are databases and websites to check if a domain is registered or not. The next important thing to consider is that your domain is relevant to the company. It usually revolves around the company name. For example our company is called “The Web Shack” so the domain name “shack” fits. We have also abbreviated the domain name to an extent as it is important also to keep your name short. Having a long domain name makes it hard for someone to search for you on a search engine if they are unsure of all your company information. 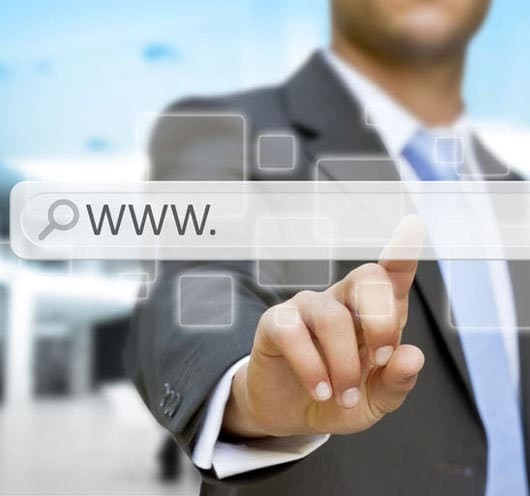 You also have to be aware that numbers and hyphens, etc are not recommended in a domain name and can affect your websites ranking on search engines. What is a Responsive Website? A responsive or mobile-friendly website is specifically designed to resize to fit on all devices; the website changes to fit the screen of the device, providing a better experience for the websites end-user. For example view shack.co.za on your tablet or mobile phone and watch how the website adapts to fit the different displays. As you can imagine having a responsive website has become important due to the fact that many people are browsing on search engines from their mobile devices. An unoptimized website will frustrate a potential user from browsing your website possibly losing a potential lead. There are also search engine optimization benefits involved and Google will rank a well optimized website ahead of one that hasn’t been optimized for mobile devices. A logo is a graphic representation (mark, emblem or symbol) commonly used by commercial enterprises. The ultimate outcome we look to achieve with our logo design package is to provide companies with the best graphic representation that embodies their core values as per their company requirements and recommendations. Initially we create four separate logos in the first round of design mockups. From here the client has the opportunity to select one of the four mock-ups. Thereafter we allow up to two additional changes to the chosen logo mock-up in order to “iron out” any preferences or change requests. The final design is rendered as a PDF file and includes a .png and .jpeg version. The client may also request the open files (design files) if necessary to keep for their records. What is a Payment Gateway? A payment gateway is setup to facilitate credit card purchases on your website. It usually involves a plugin which needs to be setup and linked to your own unique merchant account. People will not interact with your website and pay for products online if they don’t see a valid payment gateway that they trust. We at The Web Shack integrate your payment gateway and link it to your relevant merchant account so any and all purchases will go directly to your business bank account. What is a Stock Photo? A stock photo is a photo that we buy online, it is a professionally taken photograph that we get for you if you need pictures to fill up your website and make it look more appealing or fit a specific aesthetic. The benefits of stock photos are that you don’t need to try and take all your own photographs or spend endless hours trying to find nice free images that are not copyrighted on internet search engines. Get professionally taken / edited photos for your industry to truly impress your end-users. How do stock photos benefit me? Stock photos most importantly assure you that all the images on your website are not copyrighted. If you simply pull any image off a search engine the chances are that you could encounter copyright infringements and possibly be sued for using someone else’s images which they paid money for in the first place. What is a Banner Slider? A banner slider is a line-up of images that get cycled through continuously; these are generally included on the home page of your website. They help promote products/services visually in the hope that a viewer will be captivated by what they see and thereafter get clued up with the content on the rest of your website. We at The Web Shack believe that a banner slider is a vital part of your website in order to intrigue the majority of people that may view your website. A hero image is used when you select 1 banner slider. The banner no longer slides and the content is specific to one effective background image used to communicate your website outcomes. Text and animations can still be included with buttons linking to featured pages further. How many banner sliders should I use? You may be wondering why the maximum amount of banner sliders only goes up to a maximum of 5 on our online form. We have done research into the way individuals interact with websites and more specifically your website landing page. Most users that view your website will hit the landing page and within less than 1-2 minutes they will have read and viewed the page and navigated away from it. We feel having an abundance of sliders is therefore irrelevant as the user navigating the website will only see the first five banners at the most. Do you need Custom Features? The directory & listings option is only for clients looking to create an online directory where users login and add listings to their website. The type of industries we are talking about are property, travel & leisure, automotive sales as well as general business directories to name a few. Bear in mind this integration does not include The Web Shack adding any listings to the website, we simply build the framework for this to be possible. You may have seen a couple of our websites on our portfolio include an events calendar or events listing pages. This is created using the events management feature. We basically setup and integrate an events management plugin on top of our standard website package which has functionality to add events as well as pull events created straight from Facebook to the events calendar on your website, etc. Our online bookings option is for clients looking to add a booking system on to their website. This may include things such as tickets sales, table reservations as well as room bookings, etc. This is also achieved through the integration of plugins on top of our standard website package. Feel free to contact us directly should you be unsure if any of the above features will work for you.